Angelina Jolie Pitt's double mastectomy is making women more aware of the options to consider concerning breast cancer surgeries. A new study from Austria shows that Angelina Jolie Pitt’s double mastectomy has increased the awareness of breast reconstruction surgery for women, according to the Huffington Post. Ms. Pitt generated considerable media attention when in May of 2013 she let the world know she had undergone a double mastectomy after learning she tested positive for a mutation in the BRCA1 gene, which greatly increases the risk of breast cancer. 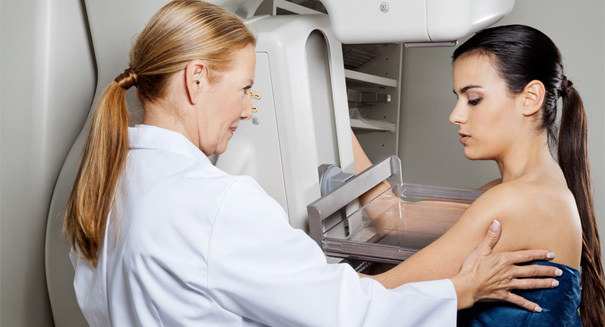 She decided to have the operation to prevent development of breast cancer in the future. The online poll surveyed 1,000 Austrian women and found that 92.6 percent of the respondents said they were aware that breast reconstruction was an option after the surgery. That compared to 88.9 percent from another study of 1,000 women done one month before Ms. Pitt’s announcement. When the researchers heard of the announcement, they decided to conduct the second study to compare the results. The fact that the reconstruction could be done on a women’s own fat tissue instead of synthetic breast implants saw an even greater increase in awareness, with 68.9 percent saying they were aware of the option, compared to 57.6 percent in the first poll. By far the biggest increase in awareness was to the statement that reconstruction surgery could be done at the same time as the mastectomy, with 40.5 percent being aware the surgeries could be done together in the first poll, and 59.5 percent being aware in the latter poll. In 2014, a study conducted in the United Kingdom reported the number of requests for genetic testing for breast cancer almost doubled after Ms. Pitt’s announcement, and also saw an increase in the number of inquiries concerning risk-reducing mastectomies.